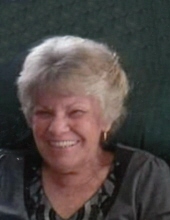 Betty Jean Cox 79 of Argenta, IL passed away 7:30 PM March 28, 2019 at Decatur Memorial Hospital, Decatur, IL. Services will be 11 AM, Tuesday, April 2, 2019 at the Calvert Funeral Home, Argenta, IL with Pastor Brian Minott officiating. Burial will follow at Friends Creek Cemetery, Argenta, IL. Visitation will be 4 – 8 PM, Monday, April 1, 2019 at the funeral home and one hour prior to service on Tuesday. Family requests casual attire - especially Argenta-Oreana Bomber apparel. Memorials may be directed to the Betty Jean Cox Memorial Fund for her Grandchildren and Great-grandchildren. Betty was born January 27, 1940 in Decatur, IL the daughter of Richard and Mary (Edwards) Moore. She married Robert E. “Gene” Cox April 22, 1960 in Decatur, IL. He passed away May 5, 2009. Survivors include her children, Gary Cox, Argenta, IL; and Angie Puckett, Argenta, IL; 5 grandchildren: Andrea Lawson; Gary Cox II; Richard (Angie) Cox; Brandi Puckett; Tawni (David) Scott; and 7 great-grandchildren. Betty was preceded in death by her parents and brother, Ronnie Moore. Betty drove a school bus for 48 years. She enjoyed camping and dancing. "Email Address" would like to share the life celebration of Betty Jean Cox. Click on the "link" to go to share a favorite memory or leave a condolence message for the family.